How Long Does it Take to Make a Quilt Anyway? This is a picture of a quilt that I started a long, long time ago. I started this quilt before I bought my long arm and before I started keeping a detailed tracking sheet of the quilts that I make. I got the inspiration to make this quilt from a magazine article. I needed to hunt down the article to determine exactly how long this quilt has been in the making. 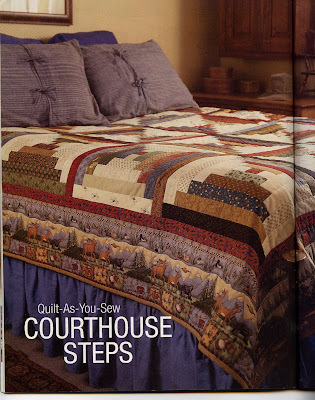 Luckily, I remembered that the quilt pattern was in an American Patchwork and Quilting magazine and so my search for the article was narrowed. 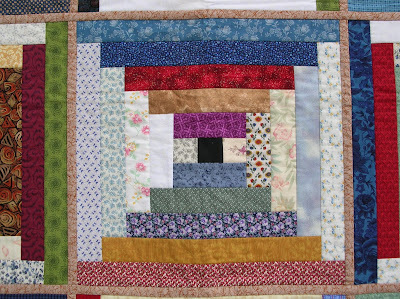 This quilt is made from 16 1/2″ finished blocks that are quilted first and then joined together to make the quilt. 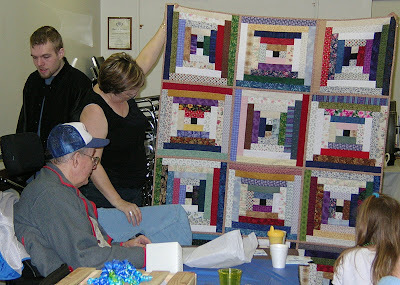 Once the blocks are joined together and the binding is applied, there is no further quilting required. 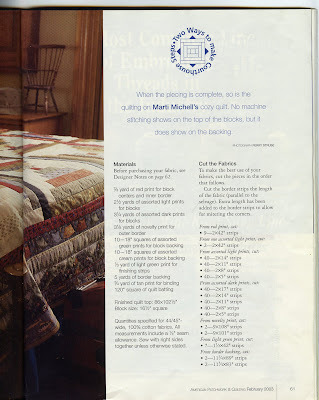 These two pictures are scans of the magazine article: American Patchwork and Quilting , February 2003–the original inspiration for this quilt. I am often asked how long it takes me to make a quilt. I find the question hard to answer. The answer is not necessarily based on how difficult the quilt pattern is, which is one of the things that could be a factor in total time to make a quilt. Sometimes, it is necessary to first understand what motivated me to start the quilt in the first place. In the case of this quilt, I was looking for a way to make larger quilts with my DSM. 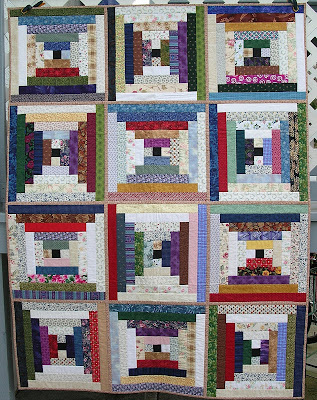 The idea of quilting a quilt in small blocks and then joining the blocks together to make the final quilt appealed to me. I was anxious to try the technique. Once I made a few blocks, the quilt sat–the technique was tried and the inspiration that motivated me to start the quilt waned. This quilt sat for a long time as a UFO. I had no original purpose for making this quilt other than to try out a new technique. Because there was no purpose for the finished quilt, there was no incentive to finish the UFO. Fast forward to March 2008. We received an invitation to my husband’s Uncle’s 85th birthday party. 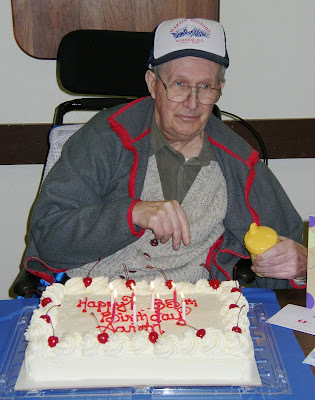 An 85th birthday is definitely a milestone and very special. I thought this birthday required a quilt to commemorate it. I assessed my UFO’s and dug out the quilt-as-you-go UFO. Now with inspiration to finish because there was an intended recipient of the quilt, I finished the quilt in time for Uncle Aaron’s 85th birthday on March 29, 2008. This is Uncle Aaron with his cake. 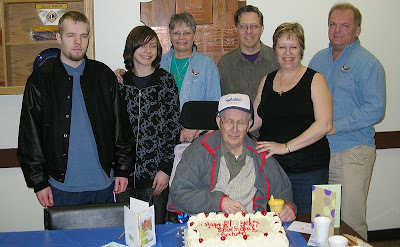 This is a picture of Uncle Aaron’s immediate family–at least those that were able to be present for the celebration. This is a picture of one of Uncle Aaron’s daughters admiring the quilt.